1 Cook beans until tender in salted water for about 6 minutes, then drain well. Peel garlic, chop finely and mix with vinegar, lemon juice and honey. Stir into the beans and let cool to lukewarm. Rinse the arugula, trim, shake dry and pluck into small pieces. 3 Toast bread slices under the oven broiler until golden brown (watching carefully), 1-2 minutes on each side. 4 Mix oil and arugula with the beans and season with salt and pepper. 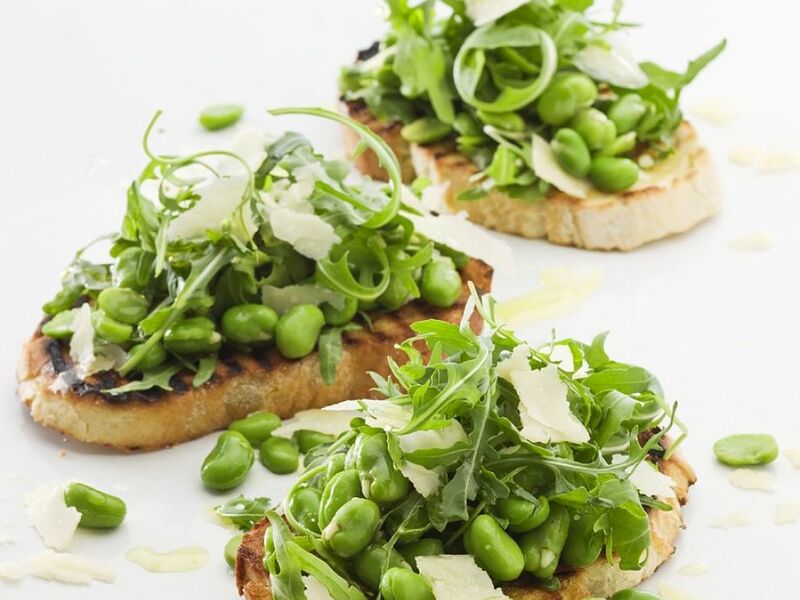 Spread on toasted bread and serve garnished with Parmesan.